Volkswagen emissions scandal: Which cars are affected? Volkswagen Group is at the centre of a global emissions scandal, with the manufacturer admitting to using so-called 'cheat' software to artificially lower emissions in thousands of 1.2, 1.6 and 2.0 TDI engines. As a result, these will be included in a huge recall which is set to commence in January 2016 and span diesel cars from Audi, SEAT, Skoda and Volkswagen. The recall only affects Euro 5 diesels built from 2008 onwards and is specific to the EA189 engine - which is the 1.6 TDI or 2.0 TDI engine - and the three-cylinder 1.2 TDI unit - codenamed EA111. To make matters all the more confusing, not all Audi, SEAT, Skoda and Volkswagen diesel cars were fitted with the cheat device. Read all the latest on the emissions scandal | What should you do if your car is affected? Introduced in 2012, the current generation Volkswagen Beetle shares its underpinnings with the Volkswagen Golf Mk6, right down to the selection of engines. 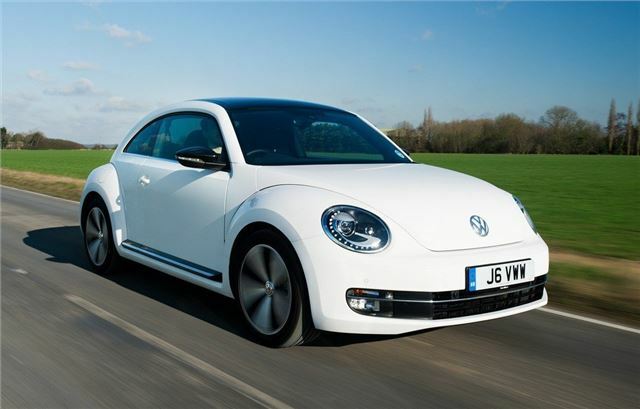 These include 1.6-litre and 2.0-litre EU5 compliant diesel engines – so owners of Beetle diesels should check on the dedicated Volkswagen website to see if their model needs a software update.